Sixty percent of B2B companies don’t have a defined sales process, and with increasing competition, businesses can no longer afford an under-performing sales team. 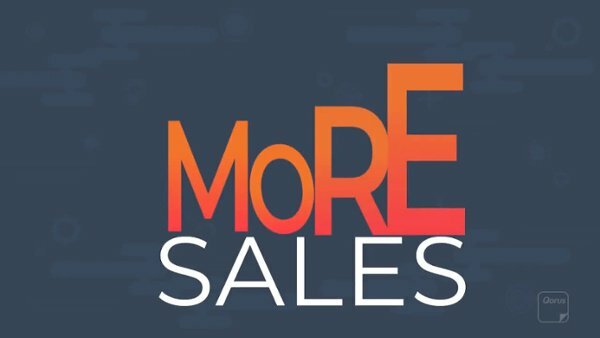 One of the best ways to reach full productivity as quickly as possible is to make sure that a well-defined sales process and strategy is in place – optimizing your sales people’s time and allowing your team to make meaningful connections with the right people, converting them to leads and ultimately, sales. Here are four effective ways to boost your sales productivity and ultimately your bottom line. Companies that have a well-defined sales strategy grow revenue 18% faster than those that don’t. To make it easier for your sales team to meet their goals, equip them with a sales playbook that clearly outlines your strategy. Although not a substitute for comprehensive training, a great sales playbook is a valuable resource for salespeople and B2B marketing professionals. It helps establish a structure through which you can provide salespeople with the information and resources that they require to be productive. When creating a sales playbook, include elements such as call scripts, battle cards, and buyer personas; indicate how often to call or email leads; provide smart content that helps deals move forward at various stages; and standardize your best practices. As the sales cycle becomes increasingly non-linear and more complex (with prospects engaging via multiple digital touch points) smart and engaging content becomes more important at every stage and has a measurable impact on customer acquisition, revenue growth and selling costs. At the top of the sales funnel, content marketing is an established practice for generating leads, driving conversions, nurturing prospects, and growing business. At the bottom of the funnel, the focus is on deals won and revenue attained. It’s in the middle of the funnel that sales content comes into play — where sales people build relationships with buyers and where you have the biggest opportunity to put sales content to work to drive business growth. It's important to create clever content that does the job that both marketing and sales need it to do in the middle of the sales funnel — supporting relationship building with prospective customers and positively influencing their buying decisions, productively converting more leads faster. Your sales content has to work fast and efficiently to convince a prospect to move forward in the sales process. Support this process by creating well-designed and customizable templates for everything – from sales emails and presentations to pitches, proposals and case studies etc. Work together with your marketing department to create eye-catching, easy-to-read content that conveys your brand’s approved messaging and ensure that each template is easy to find and accessible to everyone on your sales team. Sales content creation should be a continuous, evolving process that involves both your sales and marketing departments, and uses measurement to back up opinions about what does and doesn’t work. As your sales content strategy matures, you’ll gain increasing insight, which will in turn inform — and likely improve — future content creation. Make sure your content is easy to find – if your sales team is unaware of changes to any sales content or the existence thereof, they could waste their time trying to create content from scratch or use an outdated version when communicating with prospective customers. For this reason, it is necessary to use the right, cloud-based software to instantly connect your sales team to all your best and most-updated sales content. A cloud-based system simplifies the task of creating, managing and optimizing business development content. It allows multiple stakeholders to collaborate on a document at the same time, from anywhere in the world and saves time by allowing sales people to be more autonomous and efficient. The Qorus app lets you work as a team when creating or updating a sales playbook, and makes it easy to find and link to relevant content. When using the application, your sales teams enjoy greater self-sufficiency and success by making it easy for them to build personalized customer documents themselves, and marketing teams gain superior insights into the value and usage of the content that they create, ultimately boosting sales productivity.